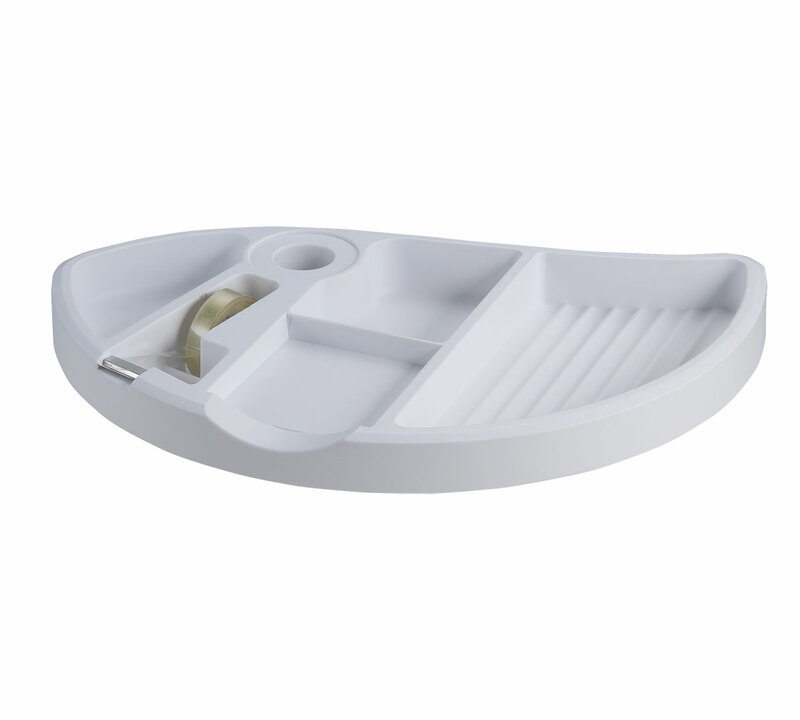 The pen tray, OP-301W, is the perfcect sollution for desktops with limited space. 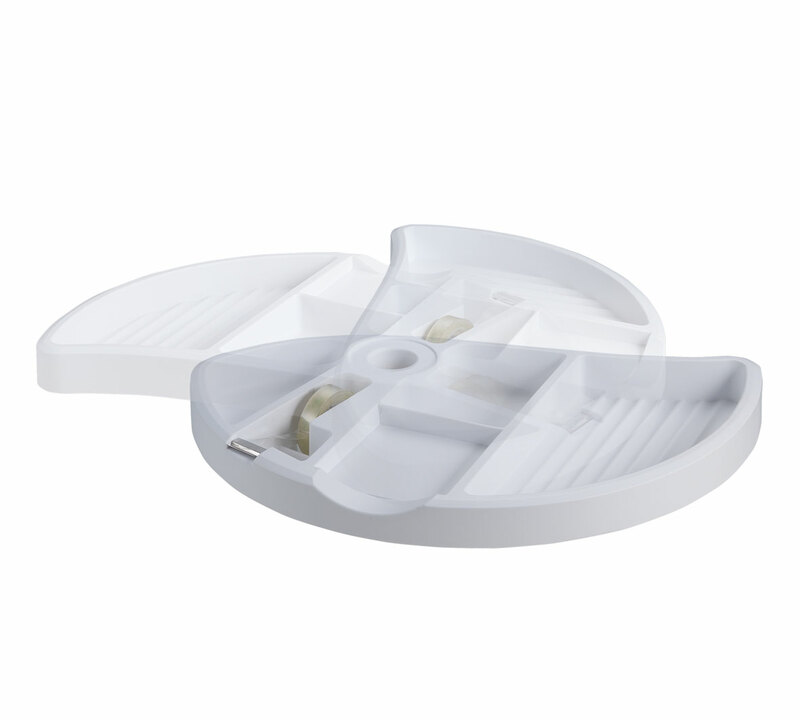 It is alegant, rotating closed storage tray for pens etc. It is easy to mount under desktops, under shelves or in cabbinets. The pen tray is mounted with three screws. Made of quality materials. Free up workspace on your desk with the pen tray OP-301W, it a good storage container for pens, tape rolls, “post it”s, clips and other office accessories.